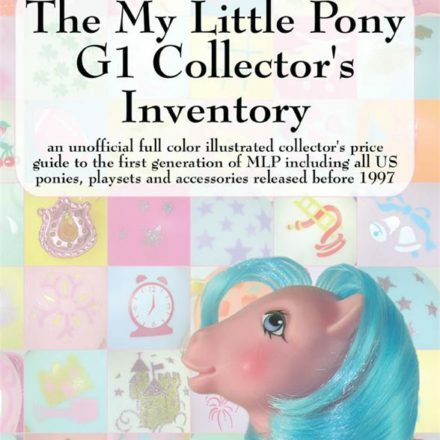 As Hasbro begins the joyous celebration of My Little Pony’s 25th anniversary, Priced Nostalgia has an exciting announcement of our own for My Little Pony fans coming later this week. 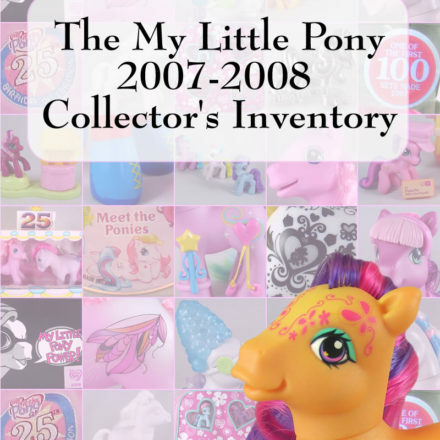 In the meantime, we have gotten some emails inquiring after the original black and white, MLP G1 checklist, The My Little Pony Collector’s Inventory by Hillary DePiano. 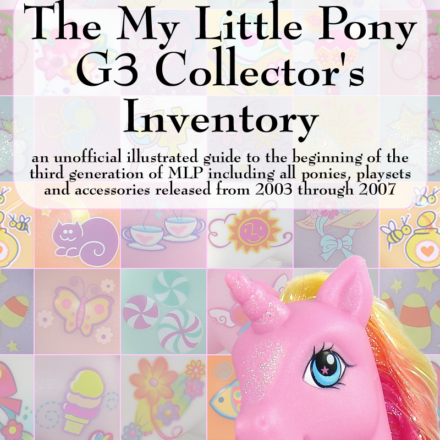 This title is now in limited availability for reasons that will become clear with our upcoming announcement, but if you still want a copy of this useful guide, there are two places that still have copies in stock. The first is our eBay store which has a limited number of copies available. 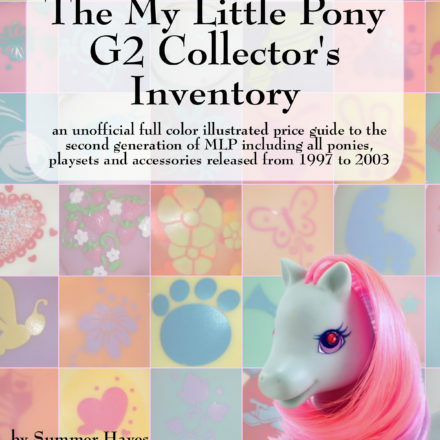 In addition, Amazon also still has some copies available for less than $10 and eligible for their free shipping for orders over $25 offer so its a great item to add to your cart to get yourself over that free shipping total. 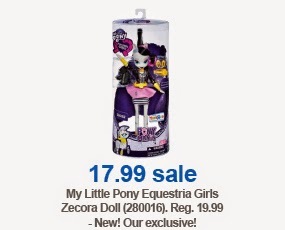 Want to make sure you don’t miss our MLP news? Make sure that you subscribe to our homepage news either by submitting your email in the box at the upper left corner of our homepage or subscribing in a reader. 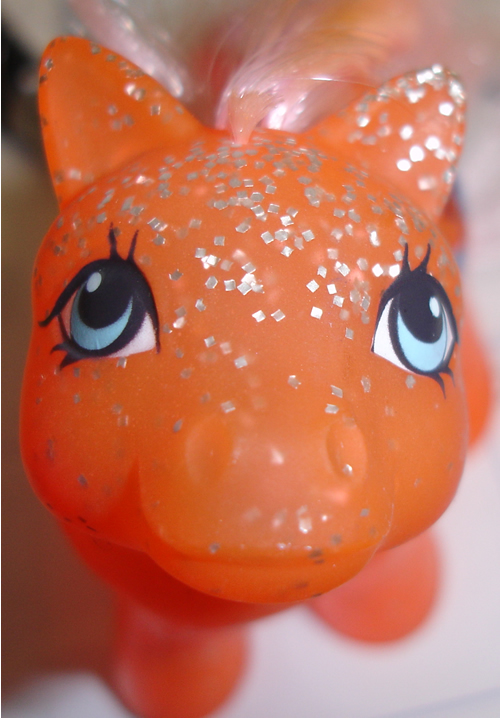 How can factory made Sparkle, Glow ‘n Show or Divine Shine ponies be considered one of a kind?